This appetizer is even easier than cucumber appertizer that I posted before. If you like five spiced tofu, give it a try! Boil tofu in water for a few minutes. 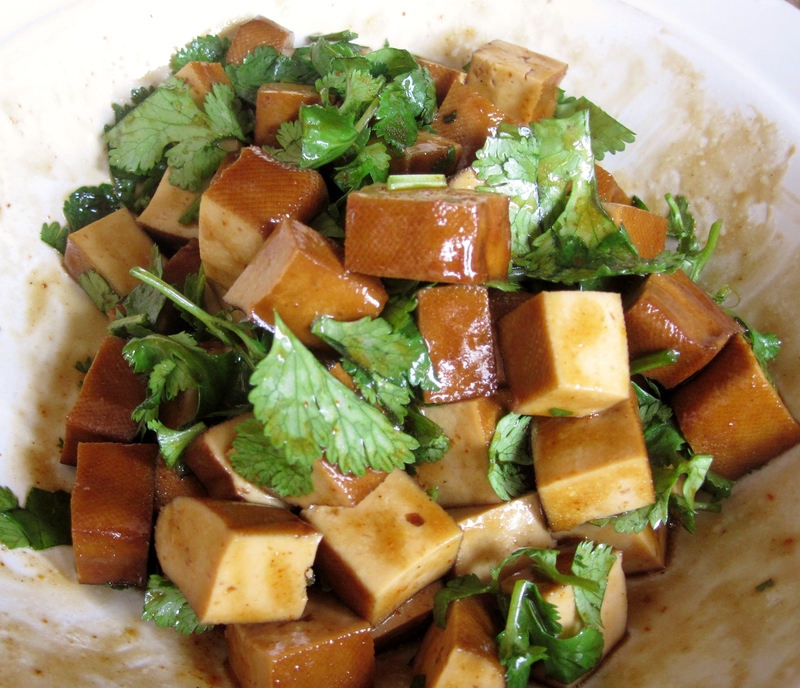 Remove tofu and dice into small pieces. While the tofu is hot, toss in remaining ingredients, mix well. Let it sit for 30 minutes before serving so the tofu soak in the flavors. Serve at cold or room temperature. Thick soy sauce: This Taiwanese style thick soy sauce can be found in Asian grocery stores that carry Taiwanese products. I like to use thick soy sauce for this dish because the soy sauce is not thin as regular soy sauce, less chance for diluting and more flavorful. This is a very easy, refreshing side dish to accompany any heavy flavored meat dishes. 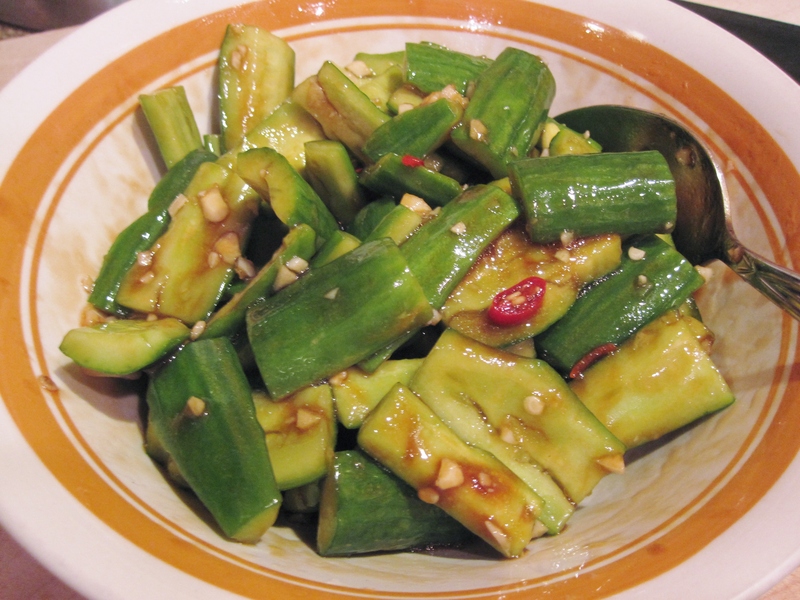 I like to use mini Persian cucumber, because its skin is not as thick as regular American cucumber. If you can’t find Persian cucumber, English cucumber works fine as well. Also, you can marinate the cucumbers for several days, but toss in soy sauce and other seasoning before serving. Remove both ends of cucumbers, cut into 1 inch length, then crush with the side of a knife to break open, remove the core. When it’s ready to serve, drain the cucumber and toss it with remaining ingredients. Serve at cold or room temperature. Cucumber: Choose cucumber that has thinner skin and smaller core, such Persian cucumber, Japanese cucumber or Hot House English cucumber. Pick a good firm cucumber and avoid those are slightly softer on both ends. In Malaysia, this soup is called Sup Kambing. It is a very popular Indian hawker food in Malaysia. I had this soup in Malaysia only once– few years back my brother bought some sup kambing for me to try. At first I was skeptical but it turned out REALLY delicious. Ever since then I have been wanting to make this soup at home when I was back to U.S.
Making this soup requires a very good timing, as we Chinese believe lamb is a heaty– best for super cold winter days and when everyone in the household is healthy. I finally found the perfect weather for the soup, but didn’t know Richard was a little under the weather– so the next day Richard was sick with a flu with more severe symptoms. I didn’t not take too much of this soup, and drank plenty of water afterwards too. 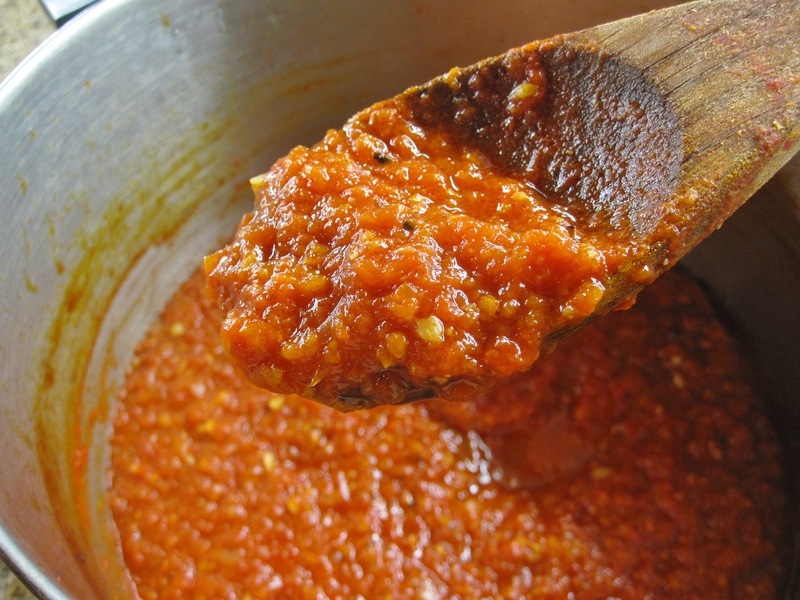 Heat 4 tbsp oil in a deep pot, fry blended onion paste several minutes until aromatic. Add in all the spices. Fry for 2 more minutes. Add in lamb pieces, keep frying until outside of the meat is cooked. Add in carrots, tomato, cilantro and water. Cook the soup, covered, on high heat for 15 minutes, then lower heat to medium low and cook for 1.5 hours or until the meat is tender. Do not cook the lamb too long or it will taste dry. Add salt to taste and sprinkle flour (while stirring) to thicken the soup. 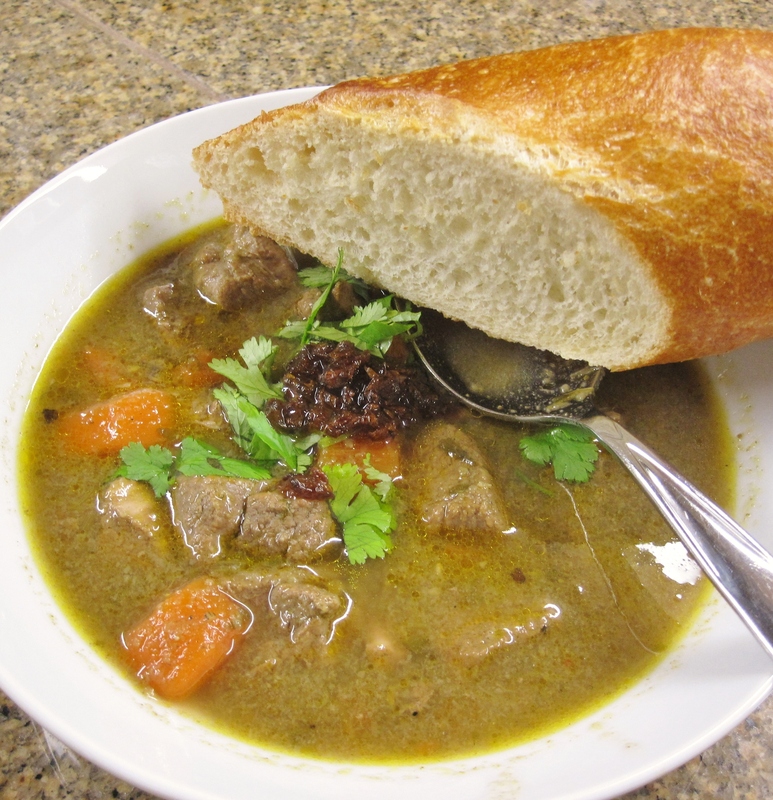 Serve the soup hot with fresh crusty bread. 2 cups flour– maybe down to 1 1/2 cup? 1/4 cup unsweetened cocoa powder– maybe up to 1/2 cup? 1 tbsp tapioca starch– maybe skip? Preheat oven to 350°F. Line a small jelly roll pan with parchment paper. Cream butter and sugar until smooth. Combine flour, cocoa powder, tapioca starch and salt in a bowl. Turn mixer speed to low, gradually add in flour. Mix to combine ( maybe better if mix with fingers like making pastry for Malaysia pineapple cookies?). Add in dried cherries. Stir to mix well. Form a dough. Roll the dough between two sheets of plastic wrap to the size of jello roll pan. Transfer dough to the pan, adjust to fit the pan evenly. Use a fork to prick the top. Bake for 30 minutes. Cool in the pan on a rack completely. Drizzle top with melted chocolate (extra) if desired. 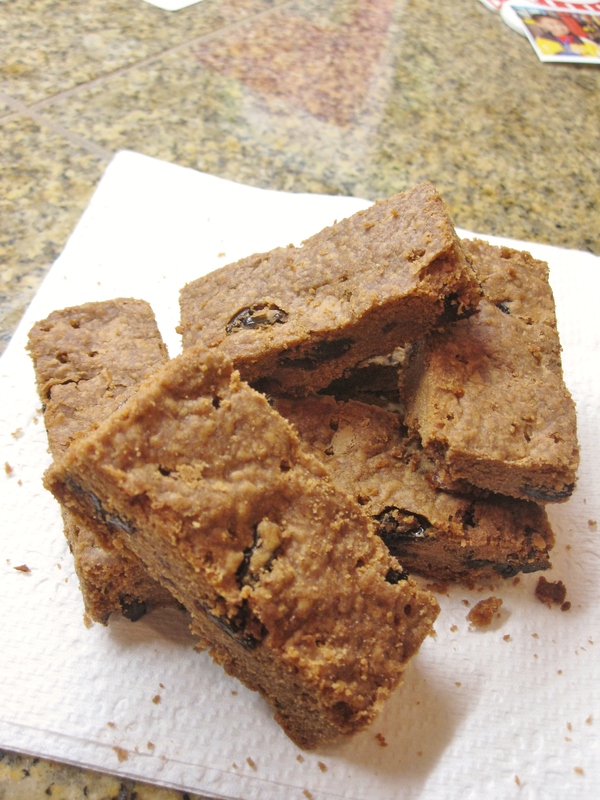 Remove from the pan, cut into cookie bar sizes. Store in air tight container.